We found that the last lync update (5.4) is not working with iOS version (7.1,7.1.1). It’ll show that can not find the server to login or a that exist a certificate problem. We reinstalled Lync version (5.3) to Loggin. UPDATE: Upgrade iOS version to 7.1.1 fix it. While MS fix that, we recommend DONT INSTALL LYNC UPDATE. 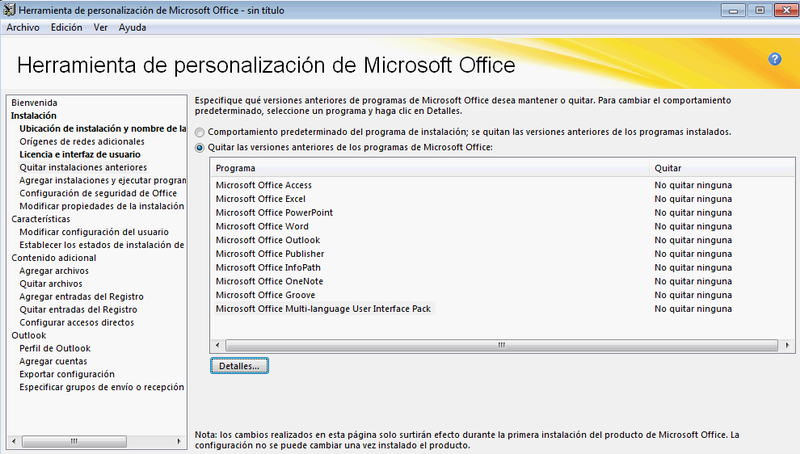 Actually Lync 2013 Client is on the Office 2013 Suite, we will work with Customization Tool (OCT) to get our goal. 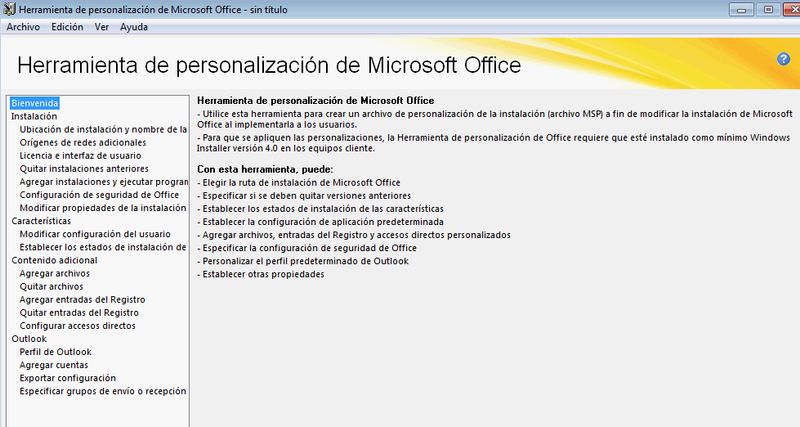 So, first you should have Office 2013 Installation media. This will open a new wizard. Select New Customization File. It will show all configuration option . 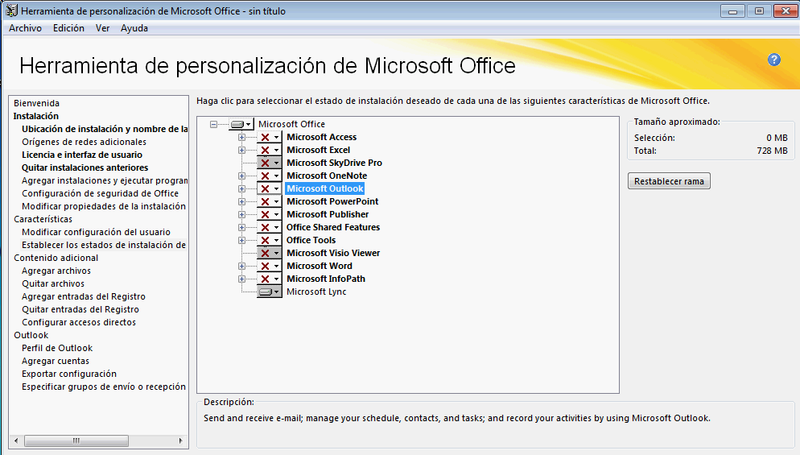 Note: In this article, I only select Lync Client, but you could choose more Office Programs to install. Under Installation Tab, you can choose the default installation path, and write your organization name. In the Licence tab, you can select KMS or MAK method, this depends of the licence type you have. Check the Terms of Licence box and under Presentation Level , select none. The follow step is important, if you have previous Office Installations. in remove previous Installation, select all the application we don’t want to remove and clic Details. A new window will open, clean the checkbox. 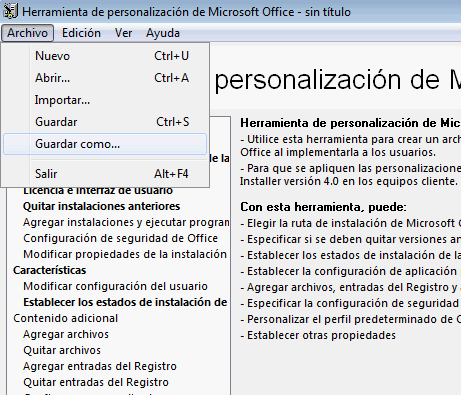 If you don’t realize this step, the previos version of Office will be removed. 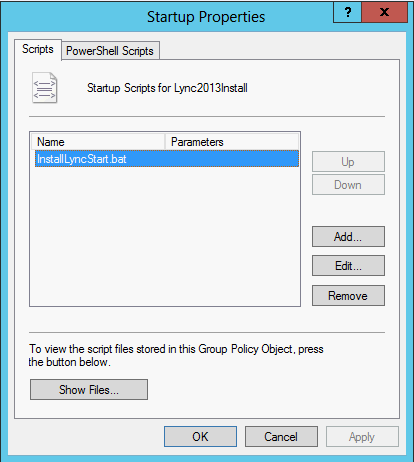 From the GPO Manager Editor, you can execute this script on Startup or Shutdown.